This continues our series of weekly roundups of the Fall/Winter Leagues. Coverage will continue every Monday into January. For the full list of Red Sox prospects participating in these leagues, check out our Fall & Winter Leagues page, which will be updated continuously through January. This week's roundup covers the period from January 22 to 28. Hector Velazquez did not appear in a game this past week as his team, Mayos de Navajoa, dropped the championship series four games to three. Ivan De Jesus Jr. wrapped up the regular season by going 0 for 3 with a walk in the finale. 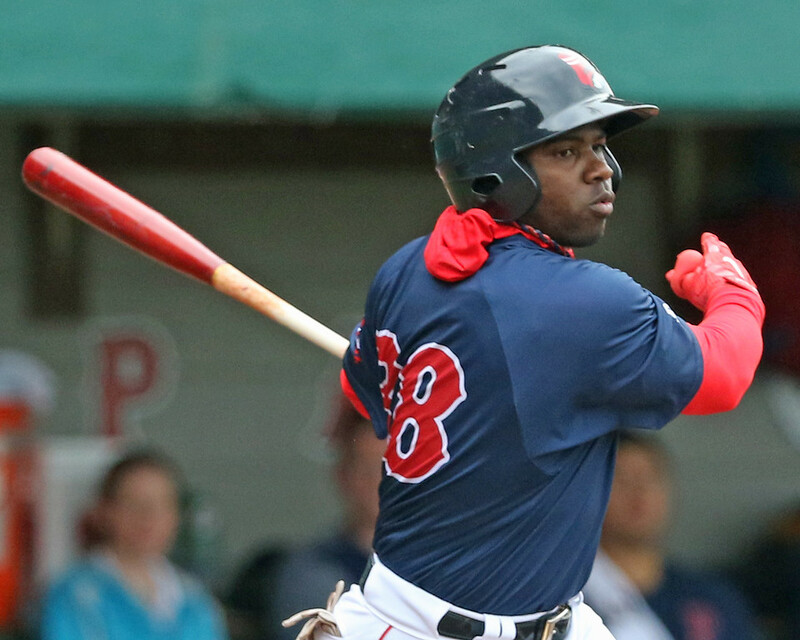 Rusney Castillo (pictured) finished strong, going 2 for 3 with a pair of doubles, an RBI, and a run. In the playoffs, De Jesus Jr. appeared in all four games for Santurce, going 3 for 15 with two walks and a run scored. Castillo enjoyed a better postseason in the leadoff spot for Caguas, going 5 for 13 with a double and two RBI. Caguas won the series against Santurce three games to none. Deiner Lopez and Cardinales de Lara faced off against Juan Hernandez and Caribes de Anzoátegui in the final five games of the finals. Neither player saw much action in the series, as Lopez recorded a pinch-hit single in Thursday's loss, as well as a pinch-runner appearance on Wednesday. Hernandez came on as a defensive sub on Wednesday. Caribes won the series four games to two. Daniel McGrath made one appearance last week, allowing three hits and a walk in just one inning, but managed put a zero in the run column. He struck out two.